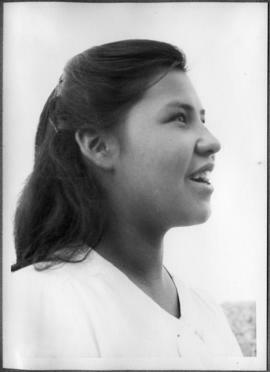 Image depicts a young woman wearing a white, V-neck sweater. Trees and mountains are visible in the distance. This woman is also depicted in images a034800 and a034802. 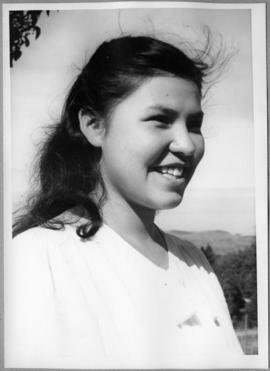 Image depicts a young woman wearing a white, V-neck sweater. Trees and mountains are visible in the distance. This woman is also depicted in images a034801 and a034802. 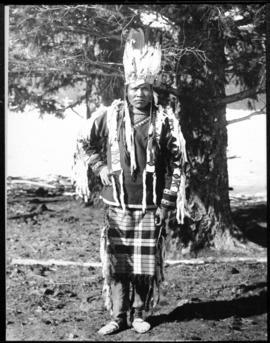 A young man wearing a headdress and native clothing stands in front of a large tree. 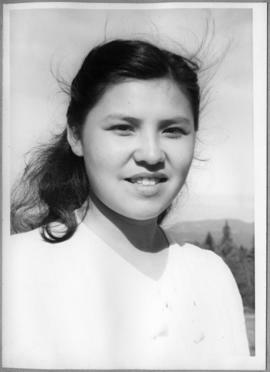 Image depicts a young woman wearing a white, V-neck sweater. This woman is also depicted in images a034800 and a034801. 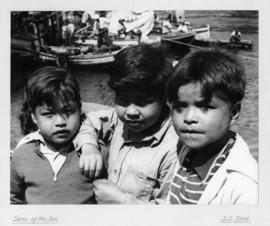 Image depicts three young boys posed together with water and boats in the background. 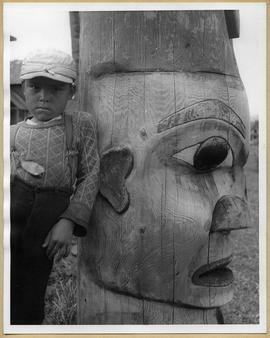 Notes indicate that this photograph may have been entered in a UBC staff photography competition in the early 1950s. 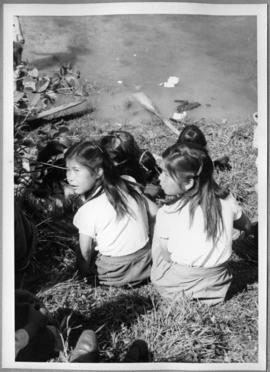 Image depicts two girls sitting on a river bank. 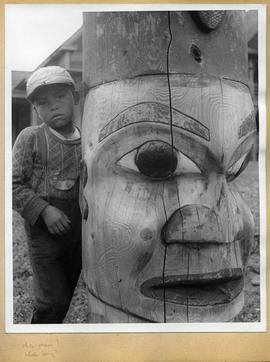 A canoe paddle rests in the water in front of them. 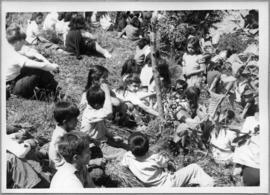 Image depicts children and youth (most seated) in a grassy area.